“By passing this measure, the council supermajority has assured San Diego’s role as a national leader in pursuit of a safe, sustainable future and has made San Diego the largest city in California to ban Styrofoam,” Ward said. “The negative impacts of Styrofoam are permanent and threaten the health of San Diegans, wildlife, and industries critical to our region. The time has come for us to listen to community groups, nonprofits and businesses that have been advocating for this change for years and move away from Styrofoam and plastics in San Diego,” he added. Small-restaurant operators were the primary opponents of the ban, arguing that they cannot absorb the added cost of renewable alternatives like compostable paper. The San Diego Chapter of the California Restaurant Association said that small restaurants and food-service businesses could be forced to pay up to 145 percent more for products other than polystyrene. City Council members Scott Sherman and Mark Kersey suggested that the ban does little to curb pollution or the use of plastics. Sherman also noted that the ban does not affect polystyrene use in shipping containers and pollution in the Tijuana River. The third no vote was from Councilman Chris Cate. 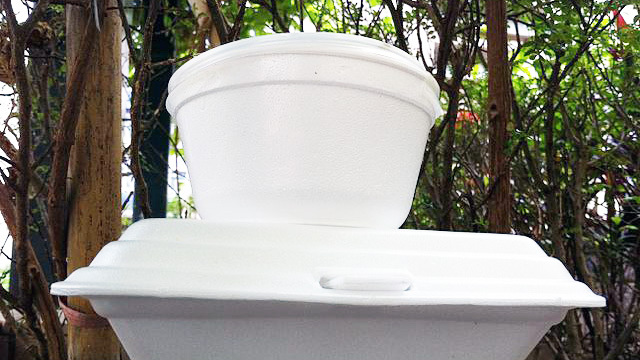 The ban’s proponents, such as environmental organizations like the 5 Gyres Institute and the Surfrider Foundation, argue that polystyrene’s environmental strain is not worth the convenience. Polystyrene products take hundreds of years to degrade and eventually break down into small particles called microplastics. Marine and terrestrial fauna often mistake polystyrene for food as well. New council members Monica Montgomery, Vivian Moreno and Jen Campbell voted for the ban. During the 2018 mid-term campaign, all three said they support taking action against climate change. However, Montgomery and Moreno suggested the city needs to perform more outreach to restaurant owners who will face the brunt of the cost.